Agia Pelagia holiday villas with pools, rental accommodation, luxury cottages, gites for hire, vacation rentals, house to let for holidays in Agia Pelagia, Crete. Agia Pelagia is located around twenty kilometres to the west of the Cretian capital of Heraklion. It is a small, pretty, seaside resort on the north coast of the island with a number of excellent beaches. Agia Pelagia is not a busy resort but there are plenty of bars, restaurants and shopping facilities. There is a bus service to Heraklion or for around thirty euros you can hire a taxi. Traveling to Agia Pelagia is very convenient as it is only 20km from Heraklion airport (HER). The climate in Agia Pelagia is very pleasant most of the year, the best time being between April and October when it is generally very sunny and warm with hardly a drop of rain. It warms up considerably in July and August. 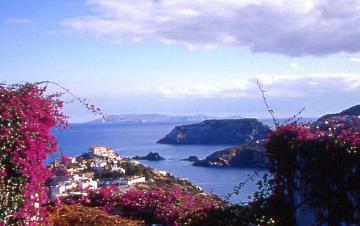 We have 1 villas in Agia Pelagia.